Botany is a branch of biological science which deals with the study of plants. Scientific disciplines such as agricultural sciences and forestry are based on the basic science of botany. Botany studies the structure, growth, reproduction, metabolism, development, diseases and chemical properties and evolutionary relationships between different groups of plants. It encompasses the study of more than three hundred thousand species of plants ranging from ground-hugging mosses to giant redwood trees. Traditionally, the concept 'plant' includes a whole range of living organisms, from bacteria, algae, fungi, mosses, ferns, gymnosperms and flowering plants. In other words, plants include a large group ranging from the smallest bacteria to the largest sequoia tree. Plants play a prominent role in our day to day life, providing us even with the basic necessities such as food, clothing, and shelter to medicine, fibers and building materials; improving environmental condition by taking in carbon dioxide and giving out oxygen, to even creating aesthetic environments. 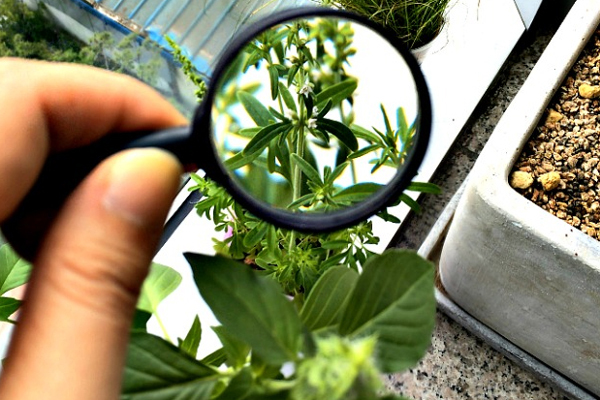 Botany as a career is best suited for people who have an affinity towards nature and plants. A person qualified in botany is called a Botanist. Botanists play an important part in modern science and industry. Their work affects agriculture, agronomy (soil and crop science), conservation, forestry, and horticulture. In general, Botanists study the development and life processes of plants. In a broader sense, botanist is one who study and research on various aspects of the plant kingdom such as origin and development of various plant species, taxonomic classification, plant physiology, plant pathology, plant fossils, mycology (study of fungi) and so on. Overall, botanists study the behavior of plants from the chromosome level to the reproduction process. Botanical studies have helped in the development of many medicines and drugs which are extracted from plants and are really helpful to fight many diseases. It also help in the production of plants which provide natural raw materials like cotton, rubber, paper, silk, vegetable oils etc.